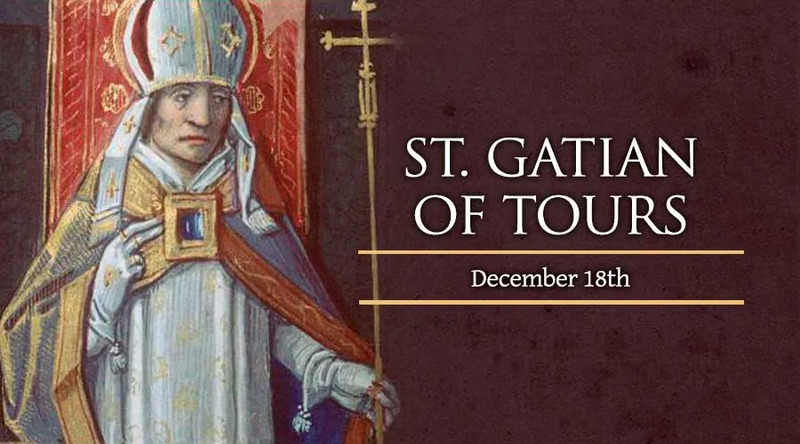 Not much is known about the life of Saint Gatian, but we do know that he was the first bishop of Tours in France, and is said to be a disciple of Saint Denis of Paris. Arriving in a pagan land, completely untouched by the Good News, Gatian scattered the first seeds of the faith in the region of Tours, laying the foundations of the Church in the city of the great Saint Martin. Saint Gatian died in 337.